Just imagine getting trained in the recording industry while you’re also working with an artist who’s signed with a major label and getting record credits all at the same time. 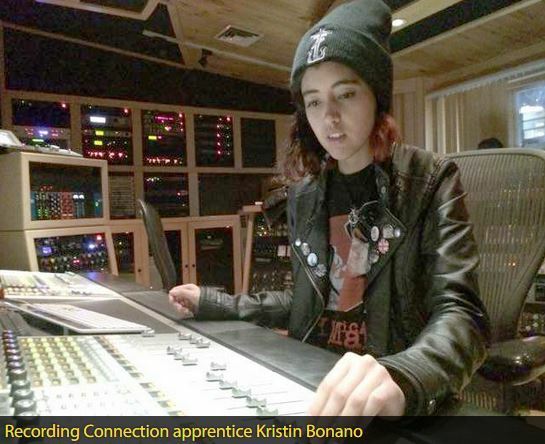 Well such is the case for a few hardworking apprentices who are training under major player producer/engineer Sax DMA at Terminus Recording Studios in New York City. Originally from Pittsburgh, PA and egging to get out of an environment he found stifling and uninspiring, Sax moved out to New York City in the early 90s. As a gifted rock guitarist, Sax probably thought he’d end up entrenched in the heavy metal scene but fate had other plans for him. 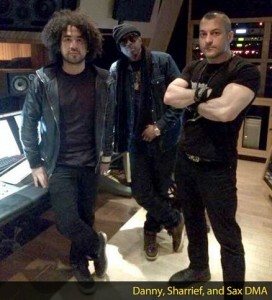 “Immediately upon coming to New York City, New York being the mecca for hip hop and R&B… I was there for the whole BDP and Tribe Called Quest, Low End Theory album working with D Nice and Too Short and Busta Rhymes.” Hip hop found Sax who admits that at the time that he “didn’t even know who these guys were” but he always showed up, worked hard and had personality. In fact, Sax’s personality and willingness to be as helpful as possible to the clients, even when he didn’t know who they were, made a very big impression on none other than Missy Elliott who, met Sax on the floor at Quad Studios and went on to request that he be on staff every single time she was in the studio. And that’s exactly what happened. 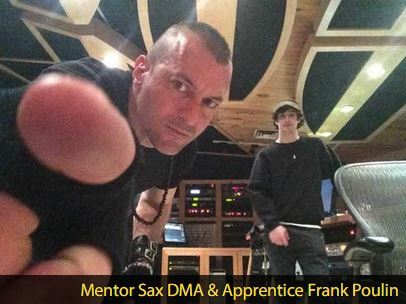 By the time Sax DMA became a mentor with Recording Connection, he’d already shown more than 3,000 people the ropes during his tenure as studio manager at Quad. 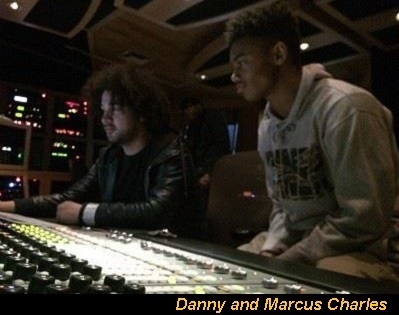 Now based out of Terminus Recording Studios, located on the penthouse level of the iconic Times Square building, Sax DMA asks his apprentices to dedicate themselves to the craft as he takes them through the real ins-and-outs of recording by working on an album for R&B artist Sharrief who is signed with AMG/Universal. For those who prove themselves, there’s real payback. Sax says, “At least the top four who have been ambitious since the beginning…they’re going to get album credits for this.” With Sax, apprentices who bring their A game can go very far, very fast. Thanks for being such an integral part of making our students’ dreams reality. You do us proud Sax DMA!